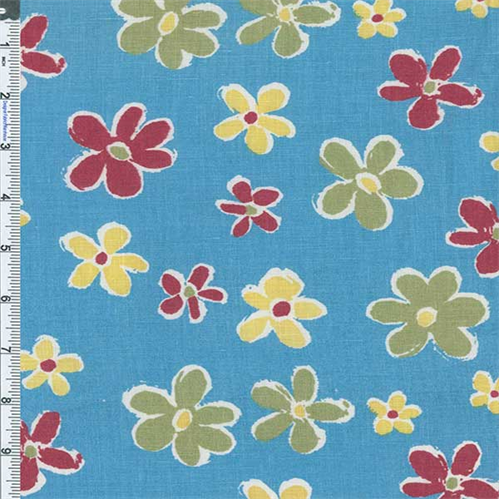 Light-weight Casual Phlox Floral Linen Print Fabric By the Yard, Blue. Unlaundered, light-weight, cool and crisp linen print. Semi-sheer, suitable for shirtings, lined dresses, and window treatments, use a lining or underlay if opacity or more body is desired for your project. Dry clean to keep smooth and crisp or machine wash cold, tumble low and remove promptly while still slightly damp.